The latest playscape in Corpus Christi educates while providing a great place for kids to let loose. The Pollinator Playscape’s design includes local plants, a water feature built to attract wildlife beyond the human kind, and structures made with natural materials to replicate logs, stumps, and balance beams. Parks like this one in the Oso Bay Wetlands Preserve could be why the city is regularly ranked tops in parks per capita in a couple of national beauty contests — Corpus Christi obviously reveres its parks, pools, and playgrounds. 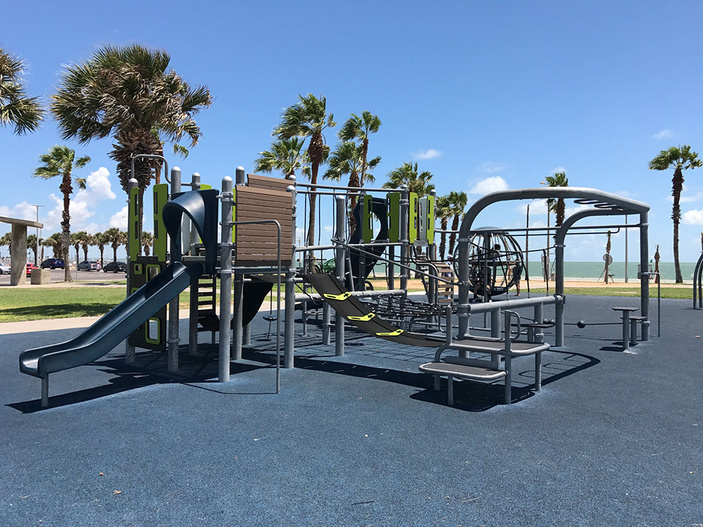 Whether basking on a beach or skipping through a splash pad, Corpus Christi park activities are as varied as the people who live and visit here. Visitors tend to travel to the city’s beaches on Mustang and Padre islands as well as North and McGee beaches downtown. Meanwhile, more than 190 parks and amenities intrigue and excite those with a thirst for adventure and a knowledge of the city’s other, more inland playgrounds. The city’s first park, which is indicated with a historical marker. 400 Twigg St. This one is on The Island and home to a community garden. 15601 Gypsy St.
A recognized birding site, Blucher Park is in downtown next to the Central Library. It’s a favorite of migratory birds due to its vegetation and stream despite its small size. 209 N. Carrizo St. Play a round of disc golf at Lamar Park, a great recreational area that shares its name with a neighborhood and shopping center in central Corpus Christi. 4231 Santa Fe St. Included in the newly renamed and renovated The Water’s Edge Park, McCaughan Park features playgrounds along the downtown waterfront. 402 S. Shoreline Blvd. Also incorporated into the newly renovated The Water's Edge Park, Old City Hall Park connects the north parking lot to Sherrill Veterans Memorial Park. 304 S. Shoreline Blvd. Includes a state-of-the-art splash pad with cabanas and a party-concession area. Lots of fun water features. 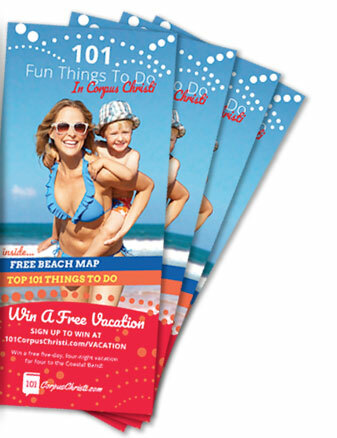 (361) 826-1724, 1520 Shely St.
Free swim lesson at T.C. Ayers Pool in July and August. Online registration encouraged. (361) 826-1785​​​​​​​, 926 Coke St.
Another popular park is Dolphin Park on the north end of North Beach at 200 Sandbar Ave. It offers paved parking and a wooden boardwalk leading to a mile-long beach, a granite fishing jetty and a concrete Beachwalk. Talks are underway in the city to improve and expand the playground which currently has a swing set.